I wouldn’t worry about it either in today’s host density. An additional 176MB of overhead per host is a non-issue. However, Monster VMs (now my friend on Facebook – who’s responsible for that account anyway?) could see much larger memory overhead values and on a per VM basis. And while it doesn’t matter how many Monster VMs fit per host, at the end of the day they are still going to require cluster resources to satisfy their individual overhead entitlement values. Great synopsis of the problem and resolution I ran into. Glad you are letting the world know! So I assume that this is only an issue with vmdks on VMFS3 datastores? Vmdks residing on VMFS5 datatstores do not have this problem? Does this apply to all storage or just VMFS? Does NFS have any of these limitations? Applies to VMFS-5 also. Don’t be thrown off by the “VMFS-3” advanced configuration label. That applies to 5 as well. That’s a really good question. The KB article solely mentions VMFS but at the same time it calls out often that it’s an open virtual disk per host issue which would apply across the board. I will do some more digging and see if I can an answer on this. Its saying that the 25TB max size isfrom using a 1MB block size ( VMFS5 would be using this ). Using an 8MB block size will allow up to 160TB using the default 80MB heap. Great article. I too am curious if this also affects NFS. I have several 5.0 host that have more than 8 TB of storage open on them and I haven’t had any issues yet… But we are running NFS, so I wonder if NFS is not affected by this. Anyways, thanks again for a great article and pointing this out to the community. There are some questions in the comments section about what types of stoarge the heap size constraint applies to. VMware has confirmed that heap size and max virtual disk capacity per host applies to VMFS only. The heap size constraint does not apply to RDMs nor does it apply to NFS datastores. 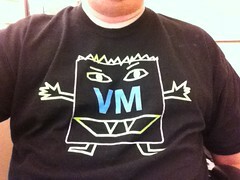 Starting to think that NFS might be wave of the future for VMware. With software defined storage around the corner no reason not to simplify and present it all as NFS. Gah, this is a serious problem in my eyes. I have a DRV program that requires up front partitioned space (thick) when on block. With the space retention requirement the client has, the disk requirement is 45tb. A single 45tb drive is preferred. In some storage platforms rdms are not a option, and multiple vmdks would be the only choice, then requiring a very large dynamic disk within windows. The lack of large disk support like this is staggering. I have Agree with Roger this is good thing to know. I just ran in to this issue in a SQL POC. Wanted stress test the hosts with fauiled host.. Last 5 VM’s could not be moved becuse of heap error. We are all VMDK’s and all block storage at this time. This certainly is disconcerting, especially since backing up VMs requires mounting VMDKs to a backup virtual appliance. I wonder if, by snapshotting, and mounting the disks to the backup appliance doubles the amount of “open vmdk file space” for a given vmdk. Scalability seems to have always been low on the VMware priority list, in my opinion. Is there any reason “not” to just max out the heap size? I presume there’s a reason VMware set a smaller value. Is memory usage, the only con to increasing it? Meaning, is there any performance overhead with increasing the setting?